Peasedown St John Residents’ Association is celebrating this month after being awarded two grants, totalling more than £1,200. The Association, which runs Drop-In support sessions for those looking for work and people who need to access their Universal Credit application online, has been organising community events for four years. As well as a Wednesday ‘Drop-In’ Advice service, the group runs a monthly ‘Big Breakfast’, seasonal events at Easter and Christmas, and coordinates initiatives with Curo, Party in the Park and the village’s B&NES Councillors, Karen Walker and Sarah Bevan. The Residents Association Funding Appeal led to a £800 grant from Quartet, and a £420 grant from the Party in the Park Grant Fund. 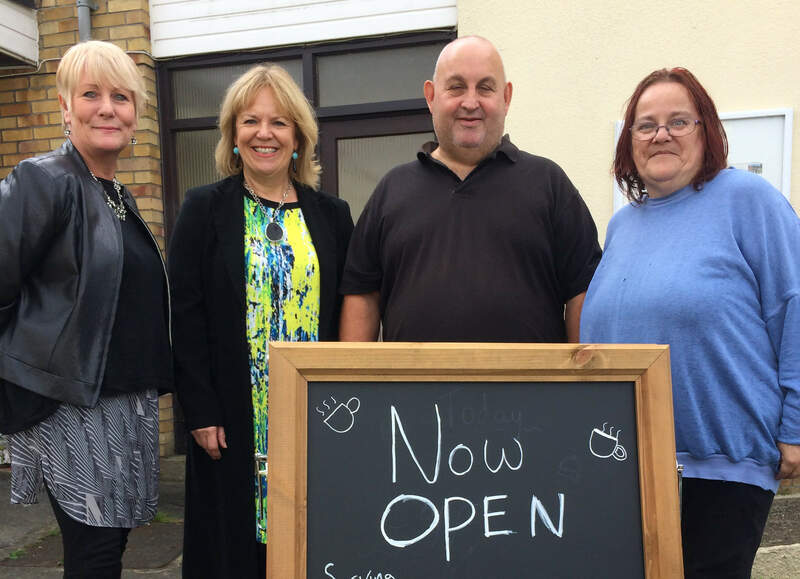 Between both organisations they are funding new notice boards and wifi for two years at St John’s Community Room – where the association hold their meetings. For more information about Peasedown St John Residents’ Association email psjresidentassoc@yahoo.co.uk. Their Weekly Drop In Sessions are held every Wednesday during term-time, 1pm – 3pm at St John’s Close Community Room, St John’s Close, Albert Avenue, BA2 8JE. Tea, coffee and biscuits are provided for free, along with a range of newspapers and TV news channels to watch.